Not all relationships between parents and children are the same. Some parents are kind and generous to their children. Others can be cruel and vicious on a daily basis. 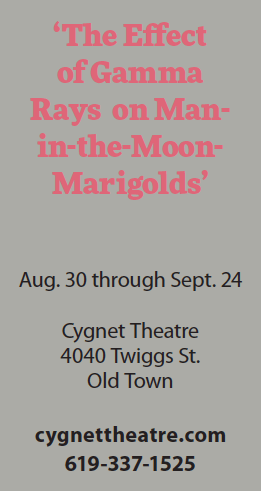 One of the central characters in Cygnet Theatre’s production of “The Effect of Gamma Rays on Man-in-the-Moon-Marigolds,” Beatrice (Hillcrest resident DeAnna Driscoll) never acts like a suburban parent. 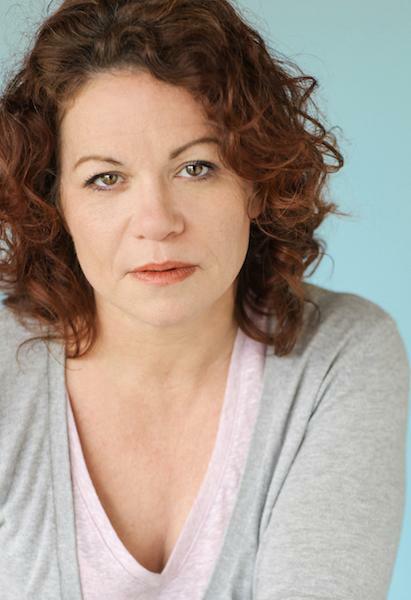 Furious with the world, she takes out her frequent anger on her daughters Tillie (Abby DePuy) and Ruth (South Park resident Rachel Esther Tate). As Beatrice’s alcoholism and abuse worsens, her kids react to her cruel treatment in different ways. 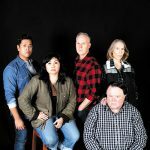 Years before working on this new interpretation from Cygnet Associate Artistic Director Rob Lutfy, Driscoll had read Paul Zindel’s Pulitzer Prize-winning script, and loved his realistic and emotional writing. Bringing sympathy to such a flawed matriarch isn’t an easy task, and Driscoll wants to bring as much depth to Beatrice as possible. Guiding Tate through the process is Lutfy, with whom she has collaborated in the past. Last summer, they worked together on another strangely titled play, “Stupid F**king Bird.” She mentioned that Lutfy really wanted to direct Zindel’s acclaimed achievement for quite some time. Given his history with the material, Lufty understands why Beatrice’s daughters are polar opposites. While Tillie manages to be a hopeful child, Ruth doesn’t share her sister’s optimism. Tate believes they are so different from each other because of their individual relationships with their mother. Tillie refuses to take after her mother, but Ruth’s behavior starts to parallel Beatrice’s personality. Hope is something that Tillie possesses, owing to her interest in science and her determination not to follow in her mom’s footsteps. “She is the true core of humanity in the narrative,” Driscoll said. If the experience sounds like a personal one, that’s because Zindel based the play on his childhood. Zindel was mainly raised by his mother, Betty. The playwright also had a sister, Betty Zindel Hagen. Like the fictitious Beatrice, Betty Zindel was apparently not the world’s best parental figure. One aspect about Zindel’s storytelling that Driscoll respects is that the show was ahead of its time. Originally staged at Houston’s Alley Theatre in 1965, she noted that few dramas at the time were dealing with a single adult raising two kids. 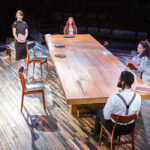 Although the material can hit close to home for people with similar upbringings, Driscoll and Tate want them to experience the production in Old Town. “It has a beautiful message for anybody who have been through things like what happens in the plot,” Driscoll said. 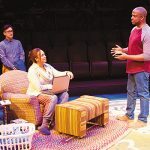 “There is a healing quality about this play that can help people with backgrounds like Tillie and Ruth,” Tate said. Both Driscoll and Tate will give frank and impactful performances. They are going to make audiences care about two extremely difficult people.